what you love most with those you love the most! 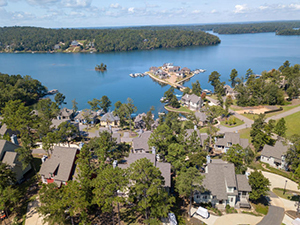 Imagine yourself cruising Lake Martin’s 41,150 acre’s of crystal clear water surrounded by waterfront homes, waterfront condos and waterfront lots all nestled along 880 miles of shoreline. From developments to original cabins, Lake Martin real estate brings diverse choices to the table. Some of the Developments include: The Village at Lake Martin, Longleaf, Stillwaters Community and Emerald Shores. Lake Martin offers a variety of activities from boating and fishing to wakeboarding and paddleboarding. After a day on the water, pull into one of the restaurants where easy-going sets the scene. Many nights you’ll catch live music performed by local talent that will have you dancing the night away. Whether you are wanting to be a full-time resident or looking to invest in a lake home to enjoy and/or rent, let’s start a conversation! Longleaf, on Lake Martin, lake homes are tucked in private, quiet coves that allow you to get away from the big water. 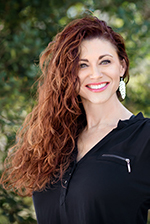 I am fully commited to ensuring your Lake Martin real estate journey is a positive experience. Buying your lake home involves many decisions, including some that you may not be aware of. I am here to help guide you through the process of a lake home purchase as well as assist any way I can after the purchase. BE THE FIRST TO KNOW...FIND OUT HOW! I strive to make the Process of Selling your lake home smooth, pleasant, & Rewarding. I ensure customer satisfaction. That means meeting your needs! I partner with you in one of the most important financial and emotional decisions you will make in your lifetime. Whether you are wanting to be a full time Lake Martin resident or looking to invest in a lake home to enjoy and/or rent, let’s talk!